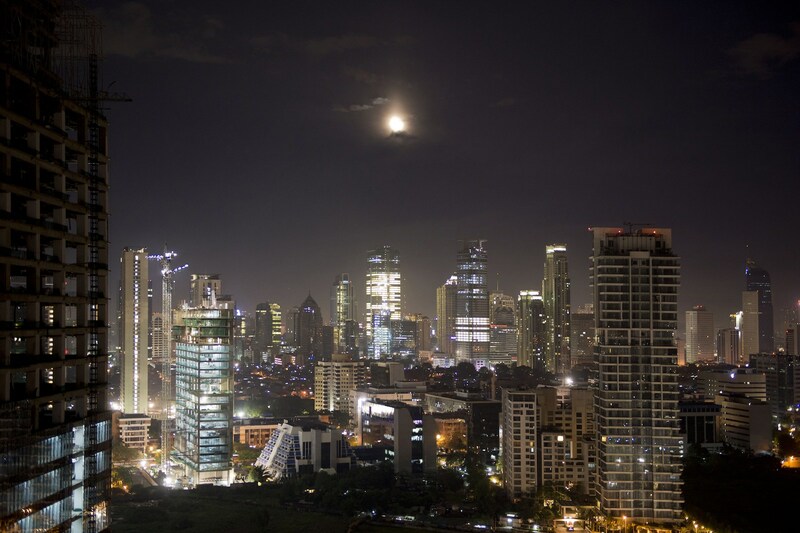 The Jakarta city skyline at night. SMEs reached 99.9 percent of the total 57.89 million business units in Indonesia, yet there is still a large gap between the financing needed by SMEs and the amount that loans provide. Like a currency coin, the small and medium enterprise sector displays two completely different sides. On the one hand, this sector is the backbone of the economy. It has been proven to drive the real sector, create millions of jobs, spur export performance and contribute significantly to gross domestic product growth. On the other hand, this sector has not been receiving optimal support, which affects its level of competitiveness. In the Indonesian context, the SME sector has played a key role in the national economy. In the 1998 and 2008 economic crises, when large corporations collapsed, SMEs kept the economy pulsing. Thanks to the resilience of this sector, domestic consumption was still able to grow, gradually normalizing economic conditions. SMEs continue to play a significant role today, according to government statistics. Bank Indonesia data in mid-2018, for example, shows that the number of SME players reached 99.9 percent of the total 57.89 million business units. Furthermore, their portion of labor absorption reached 96.9 percent, and their contribution to GDP was 57.56 percent. However, despite having a strategic role, SMEs have actually been less fortunate in gaining support, especially financially. The alignment of the traditional financial industry with regard to the development and sustainability of SME businesses has arguably not been optimal. Various efforts have been made so that SMEs have better financial access to formal financial institutions. Yet, there is still a large gap between the amount of financing needed by SMEs and the amount that loans provide. The lack of financial access for SMEs is reflected in the Indonesian Banking Statistics (SPI) data routinely published by Bank Indonesia and the Financial Services Authority. The SPI data for October 2018 shows that of the total loans provided by the banking industry (worth 5,168.2 trillion rupiah or $0.36 trillion), a mere 951.7 trillion rupiah was allocated to the SME sector. This means that no more than 19 percent of the banking industry’s total credit was allocated to the SME sector. Compare this to the financing gap of 1,320 trillion rupiah faced by Indonesia’s SMEs, as estimated by IMF’s Financial Access Survey, and it is apparent that there is a significant unmet need that exists. In terms of credit growth, SMEs are still lagging. The same data shows that total bank credit grew around 13.3 percent from October 2017 to October 2018. However, financing to the SME sector only increased by 11 percent. In addition, the financing of SMEs has not been allocated evenly across business sectors. Of the total SME loans worth 951.7 trillion rupiah, a significant 493.3 trillion rupiah, or around 52 percent, flowed into the large trade and retail sectors. The remainder was allocated to 15 other sectors such as processing, agriculture, fisheries, plantations, telecommunications, construction and property, among others. Given such a wide gap in supply and demand and inequality in financing, how do SMEs meet their working capital needs? Most SMEs rely on their personal capital, such as family funds or loans from colleagues. While loans from formal financial institutions certainly exist, the amounts that SMEs are able to borrow are not enough to cover the total amount needed to support growth. Oftentimes, the lending process is prolonged and inhibits the ability of SMEs to rapidly tap on funds to maximize business opportunities. Alternatives include borrowing from non-formal financial institutions, which come with high interest. The ability of SMEs to access financing is also determined by their business capacity. In Indonesia, SMEs are categorized into three types. First, there are informal family-owned SMEs. They have been able to develop, but limited capital makes growth relatively slow. SMEs of this type have access to finance, but their collateral is often the asset they use, or even live in, which represents high risks. Second are SMEs that have become part of the production chain or industrial supply system. Their access to capital is relatively good. They do not need to collateralize the assets they live in, but instead, they can use invoices, purchase orders or other forms of guarantees issued by their strategic partners. Third are SMEs that are already independent and ready to transform into big businesses. This is the second SME type at an advanced business phase. They are well-established and ready to be upgraded to become corporations. The first SME type can be represented on a pyramid diagram as the occupant of the base, constituting the majority of the entire SME ecosystem, which is 93 percent of the whole SME population. Whereas SME types two and three are very limited in number. Apart from the wide gap between funding needs and the amount that banks can provide, there is one other factor preventing SMEs from having adequate financial access, namely, the incompatibility of the SME business model with the characteristics of the banks’ financial products. The incompatibility ranges from payment terms, loan schemes and collateral forms, to credit quality measurement mechanisms that use a monthly installment approach for both principal installments and interest. Even though this phenomenon is not new, it has continuously remained relevant, considering that the range of solutions available is still very limited. Not only do SME players need quick and easy financing, but they also need flexibility. SMEs that are engaged in the agribusiness sector, for instance, can only generate revenue during the harvest season. They practically have zero income during the planting season. Hence, at the start of the season, they must raise substantial capital from external sources to afford seeds, fertilizers, operational costs, plants maintenance and daily expenses. As a result, these SMEs form debtor profiles, which are difficult for the banks to provide financing for. Therefore, the development of the majority of SMEs in Indonesia has not reflected their true potential. Subsequently, they only survive and grow depending on their capabilities and limited resources. Moreover, as we know, relying on organic growth is a slow process that takes a long time, while competition gets tighter and goes beyond national borders. Fintech as a new financing model gives hope to the SME sector and is already becoming a buzzword in developing countries. Fintech comes in the form of lending platforms, which have sprung up to bridge the divide between nontraditional sources of funds and SMEs. They leverage technology to build applications that provide easy access and visibility to SME funding requirements. These lending platforms are supported by underlying proprietary algorithms that draw upon a wider pool of operational data to draw up the credit quality assessments. This allows flexibility to extend unsecured lending even to family-owned SMEs. In addition, many of these lending platforms also offer smaller and short-term loans compared to those that banks are willing to provide. The ability to automate parts of the credit process and manage it online between stakeholders also leads to much faster turnaround times compared to banks. 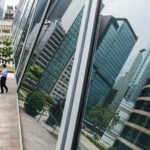 With all its uniqueness, these digital technology-based loan providers will be able to overcome the lending obstacles. Fintech lending is the tailor-made best friend of SMEs, showing that both sectors can grow and develop together. Sonny brings over 23 years of experience across SME banking and consumer banking in Indonesia, having held senior roles at BTPN, DBS Bank Indonesia and Bank Danamon Indonesia. In these roles, he helped establish and develop BTPN’s SME banking division while overseeing BTPN’s Micro Banking Business and Consumer Asset business.